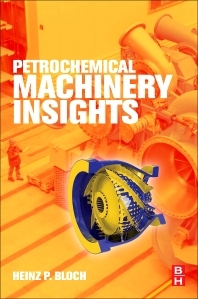 Petrochemical Machinery Insights is a priceless collection of solutions and advice from Heinz Bloch on a broad range of equipment management themes, from wear to warranty issues, organizational problems and oil mist lubrication, and professional growth and pre-purchase of machinery. The author draws on his industry experience to hone in on important problems that do not get addressed in other books, providing actionable details that engineers can use. Mechanical, reliability, and process engineers will find this book the next best thing to having Heinz Bloch on speed dial. Chapter 1.1: Your Agitator Just Failed: What Now? What is the Pressure Increase With a Constant Volume? Chapter 18.3: Confused about Reliability-Centered Maintenance? Chapter 18.6: Was That a Failure or “Just a Repair”? Do You Know Your Pump MTBF? What Makes You a “Reliability Professional”? What if There Was No Such Protection? What—If Anything—Can Shut Down an Oil-Mist System? Chapter 25.4: Pump Switching: What's Best Practice? Case 1: Why Are They Still Using Cooling Water on Pumps? Does the EPC Need Technology Updates? Chapter 36.1: How Can Remaining Run-Length Potential be Determined? Do Turbine Size and Duty Matter? Heinz P Bloch is the owner and principal of Process Machinery Consulting Co, and has been the reliability editor of Hydrocarbon Processing Magazine since 1990. He is the author or co-author of over 650 technical papers or articles, and 19 full text books. 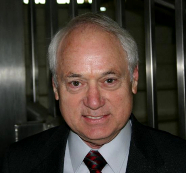 He was a founding member of Texas A&M University’s International Pump Users Symposium.